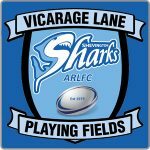 Shevington Sharks ARLFCs official team wear partner is 1895Sports.com. Visit our club shop: http://www.1895sports.com/club-shop/shevington-sharks-rlfc. 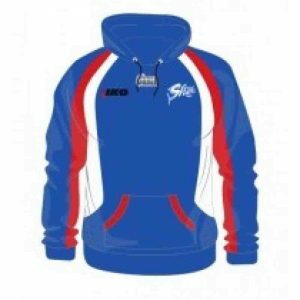 Shevington Sharks Pro Hoody in Royal Blue, with red and white piping. Material 340gsm with fleece lining.